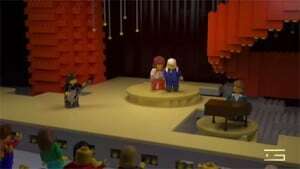 We were commissioned to create a LEGO-themed homage for Eurovision Song Contest’s 60th Birthday! 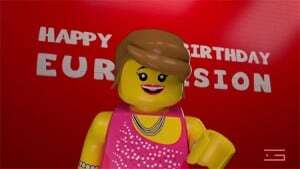 After the success of the LEGO Movie, the client asked that we create a 3D Animation in a stop-motion style. We created concept art for each musical act, staying true to each individual character’s style and we designed and built the stage sets following the original Eurovision stages closely. We were able to build a single template character from one single minifig and applied new materials and textures to create each additional character. 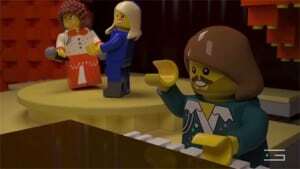 In our 3D animation, we carefully followed the stop-motion style of the film and created phonemes to allow us lip-sync the presenter character and introduce each act. More details on these processes are available in our blog.